To coincide with our colour management we use specialised software to build bespoke profiles of your press. These are used to produce high quality contract proofs to show precisely how the final printed job will look. 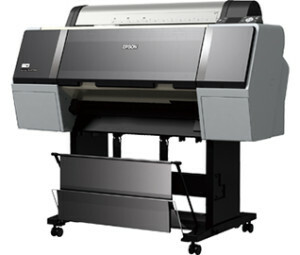 We can produce proofs on semi-matte paper, clear film and metallic foil with White Ink up to 24" wide. Our proofers are calibrated regularly using an X-rite spectrophotometer to ensure that the proofs remain consistent.